We are all on a diet of some kind ... every critter on the planet has a preferred "diet" ... as humans, we have more choices and need to choose wisely. Often, our instincts for "goodness" gets confused by desire for goodies! So, the question of the day: Do Diets Work? Tomorrow, January 1st, is an incredible day - It's the day when 70% of Americans are starting another diet for weight loss! What if we could Stop the Yo-Yo weight loss & gain pattern, Challenge the beliefs about yourself, and Choose a method to tap into your stored fuel, your pounds and pounds of golden fat? What if you could reach a healthy weight, gain and sustain health for a life time? Join the TSFL 12 week Stop, Challenge, Choose with me! If you're part of the "Yo-Yo Diet Club" - quit! Choose to get on Program and do it like your life and happiness depends on it ... because it does! 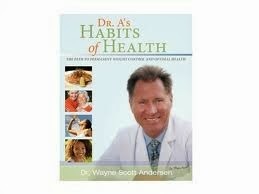 Incorporate the Habits of Health into your life for the rest and best of your life! Tell others! Friends, loved ones, and co-workers are are watching, waiting, wondering, and hoping ... they want to know: Does it work? Can I do it? Will you help me? Get yourself in front of Dr Andersen and he makes his tour across the US! Click Here to see his upcoming schedule! 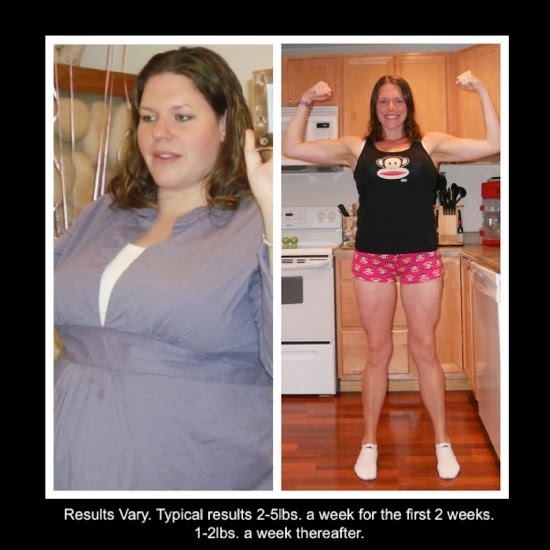 Dr A sent us a "Welcome to the TSFL 12-Week Health Transformation!" Welcome to the 12-Week Health Transformation! Welcome to the beginning of a life-changing journey. I am excited to help you leave behind the world of poor health for one of vibrant, long-lasting health. The Take Shape For Life approach is designed to help you make a sustainable changes in all areas of your health. Exercise and diet will be important parts of your journey, but they treat systems of poor health rather than the cause. The first step in living a healthier life is changing the way you think about yourself and about health. Once you have made a mental change, making and maintaining the physical change will be much easier, especially with the support of a Health Coach motivating you to discover your optimal health. Over the next 12 weeks we will sharing information daily on how to improve in all of these key areas. And, during these next weeks, we"re going to create the momentum, give you the skills, and offer you the support to set you up to enjoy the precious gift of health for many years to come." On Monday, the first leg of your email challenge will begin. I will send you seven emails a week for 12 weeks that will guide you through the process of creating health in your life. These emails will arrive early in the morning so that you can use them to start your day. If you can check your email once a day, you can make this program work for you. Just like my books, these emails will contain lessons, exercises, and challenges. Every email is based on my personal experience as a medical doctor and on the content of my first two books, Dr. A's Habits of Health and Discover Your Optimal Health. Thousands of people just like you have used my lessons to lose weight, fight disease, and live happier, more fulfilling lives. I am confident that you can succeed just like they did, especially if you take full advantage of the 12-Week Health Transformation contest that Take Shape For Life is sponsoring with the help of Medifast. While there are many prizes up for grabs, the greatest reward of all is the chance to live a healthier life. Be sure to read the full details of the contest, complete the checklist, and connect with your Health Coach. This will make you eligible for the contest. To get started, all you need is a notebook, a pen, and a computer. Picking up a copy of Discover Your Optimal Health will add more depth to the daily lessons, but it's not mandatory. Just check your email, read the lessons, and do the exercises. Watch this blog for more info in the days to come. Your very own 12 week Transformation with "Stop, Challenge, Choose!" Join me and thousands of Americans for the first Take Shape for Life 12 Week Health Transformation! 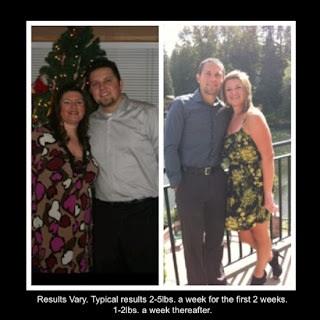 No, it’s not a Weight Loss Challenge ... It’s a Health Transforming Experience!!! No matter where you are on your journey - weight loss phase, learning the Habits of Health, or looking to make improvements in your personal life - this 90 Day Health Transformation can act as the catalyst to take your life to the next level in 2014. To sign up, go to StopChallengeChoose.com! What do I want my health to be like in 2014? Why is my health so important to me? 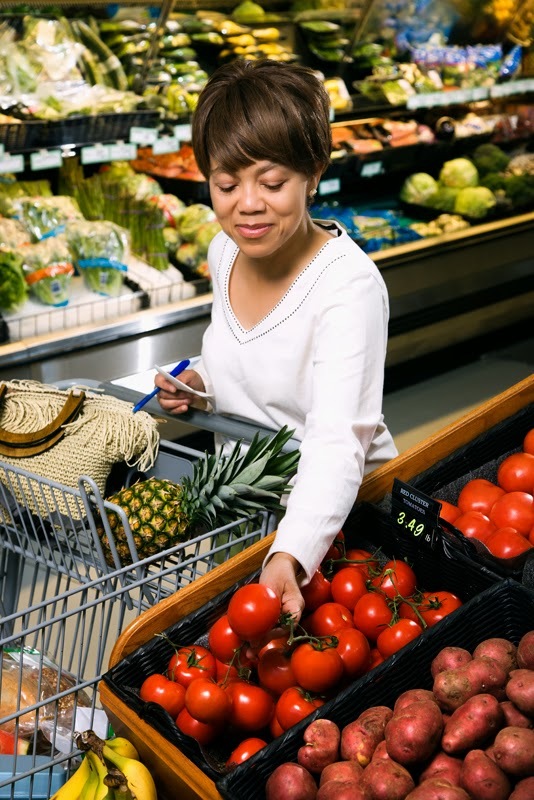 Who benefits when I choose to get healthy? What aspects of my health would I like to improve this year? How will I feel and look and engage in life when I choose to improve my health every day? So here's the deal, let's do this together! 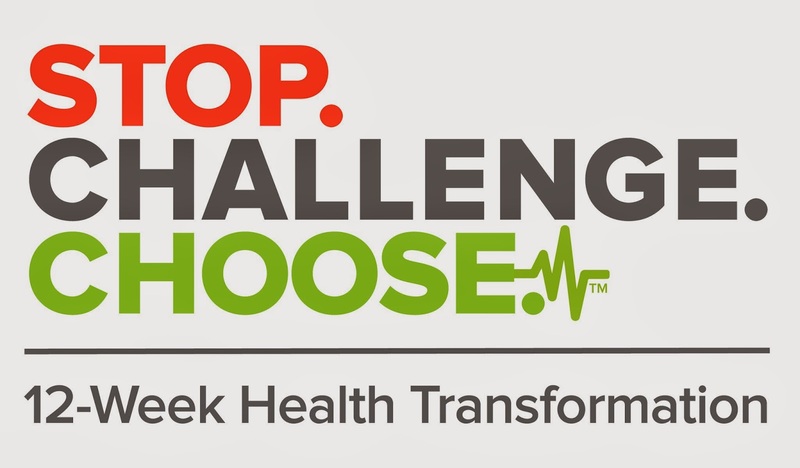 On January 1st, go to StopChallengeChoose.com and put yourself in the running to win a happier you and a host of Take Shape for Life prizes including a 4 night stay at a luxury spa resort! Just fill out the simple profile, take the health assessment to see where you are currently, then call me to discuss the next step. Whether its weight loss or another Health Transformation you desire, this is the place to start. I’d like to be your personal Health Coach for the journey and my services are complimentary. The grand prize is a trip to one of the top spa and wellness resorts in the U.S. this fall. Exciting customized activities to help you continue your Optimal Health journey. If you are ready to get started and join in on the fun, message me or call my office at 503-313-4820 and set up a time to get you started. I can’t wait to take this journey with you. The Challenge is open to US residents only. Enrollment is "Rolling" ... The actual event begins on January 1st and anyone can enroll from that day all the way until March 1st. Yes, enrollment is Rolling and anyone can start their 12-week transformation up until March 1st. This will be great as the winners will be announced from the stage in front of thousands at the next TSFL National Convention in Anaheim, CA. TSFL Corporate has created some amazing prizes for winners in different categories of Transformation related to various Habits of Health. Naturally the biggest prize is the personal transformation results we get ... the long list of gifts and prizes, including luxurious trips to luxurious places, just adds to the fun! Decide what Health Transformations you want for 2014. Reach out to me and let me know to count you in. 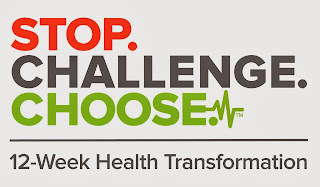 On January 1st, go to the website StopChallengeChoose.com and enroll for free. All the results, tracking, and details will be there come January 1st, including being connected with thousands of others doing the same thing in a joint effort to get America Healthy. Next, think of anyone you know and care about who is looking to change their health - share the Challenge with them! All they need is to sign up with me as their Health Coach and guide. Have them fill out the Free Client Profile - I’ll connect with them and help them get started. Let’s all take a step forward to STOP, CHALLENGE, CHOOSE and TRANSFORM our Lives in 2014. I’m ALL IN and I invite you to join me. I’m so excited to get started!! Polly. The holidays will be over in a twinkling of an eye so, be sure to get your orders updated in the next few days so you are ready to rock and roll on Jan 1st!! We have 9 days till New Year's Day when 75% of America goes on a diet ... Thank Goodness, we don't have to!!! 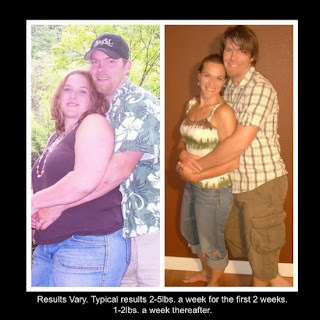 We have a fabulous PROGRAM that actually works!!! I'll be posting a story each day for the next nine days as we approach the New Year ... If you would like me to share yours, let me know ASAP! Follow the posts on my Blog Page and/or on FaceBook. So, whether you are in the midst of your weight-loss experience, getting ready for a re-start, in transition, maintenance or on the next phase of your journey to optimal health, the Medifast meal replacements, Dr A's books, the TSFL Bio-Network, and Yours Truly (Your very own Health Coach!) continue to be here for you! Six Days till New Years: What will your story be like? 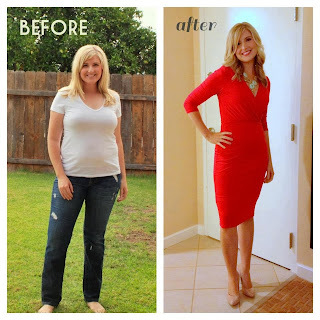 “Before we started our journey to health we were living the typical American life. We ate very unhealthy. Our source of entertainment was centered around the TV. We loved each other but our unhealthy habits were hurting us more then we realized. Each year we gained more and more weight and added new unhealthy habits. To make it even more painful, we were passing these same unhealthy habits onto our children. We've started implementing the healthy habits into our family. Now we enjoy being active with our kids. Being at healthy weights means we can do more with them and actually enjoy it! 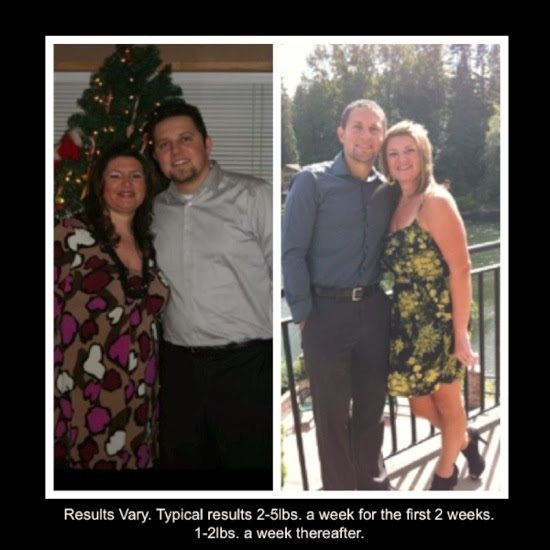 Grace lost 100 pounds and Jon lost 40 pounds! We are eating healthy as a family. 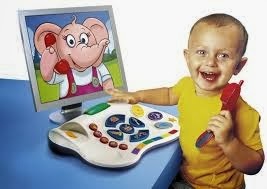 Many people are amazed at how our kids enjoy healthy food! 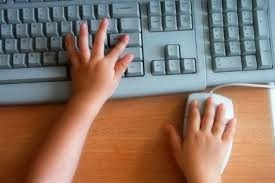 We are improving our endurance daily through exercise, while teaching our kids how fun and rewarding being active is. As our bodies get healthier, our minds are getting healthier. As our minds are getting healthier, our finances are getting healthier. They all work together and are changing the dynamic of our family! We enjoy long trips with our kids. We are training them up in health and teaching them long term healthy habits! We don't have that fear of them having to go through the same health struggles we went through. Thanks to this program our lives have and are still changing for the better! 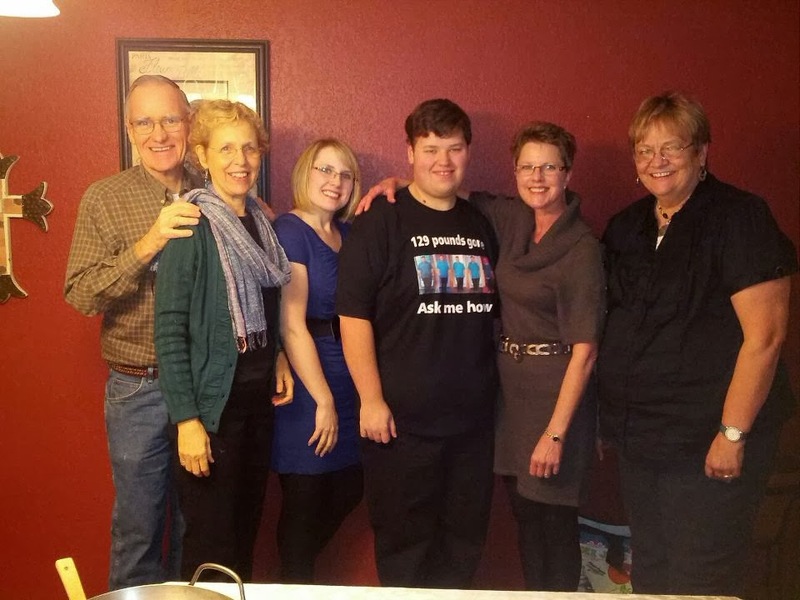 “I have been overweight since I was 5 years old, closing in on 200 pounds by age 13. My senior year of high school (just by being active and playing lots of basketball) I managed to get down to about 165 pounds and didn't even realized it was happening until I got there. After graduating high school the weight started coming back on pound by pound. When I got married I weighted almost 200 despite trying EVERYTHING and EVERY DIET to lose weight before my big day. After getting married and having 2 beautiful children, I lost hope of ever getting to a healthy weight. Then, my sister's friend told me about this Program and I thank God everyday that she called me. I started this program weighing in at 237 pounds. 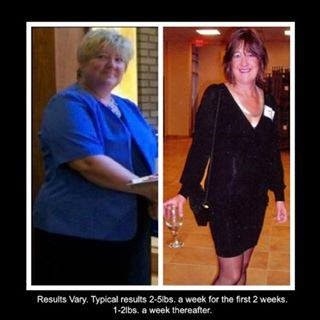 On July 28, 2012 I reached my goal of 146 pounds - a 91 pound loss!!! Now it's been a over a year and I'm still maintaining my weight loss and THRIVING!! I have taught my kids about how important health is. I now have the energy to play with them and I LOVE IT!!!!! This summer I have ran three 5k mud-obsticle coarse races - I have NEVER enjoyed exercising until NOW!!!!! This is what THRIVING in LIFE feels like and it's AMAZING!!!! I will NEVER give up the HEALTH that this program has given me!!!!! Ben and Tiffany were trying to out exercise their eating habits. 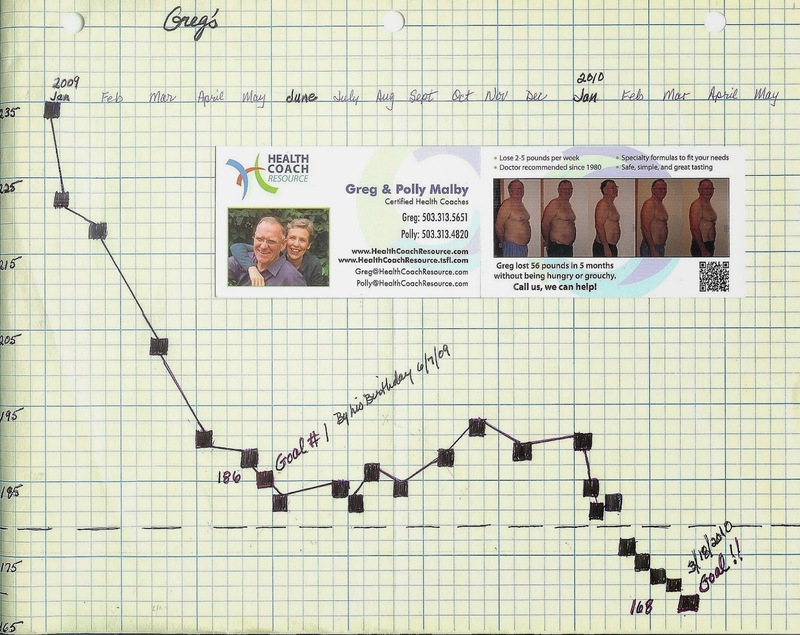 After trying many methods of weight loss with no success they had given up the hope of reaching a life of optimal health. Willing to try just one more time, they not only reached a healthy weight but found out they were missing out on SO many of the things they used to love. "We could never have imagined that after losing 65 lbs each we did not just "lose weight" but are more confident, happy, friendly, less tired and stressed and fully enjoy activities like wakeboarding, traveling, and keeping up with our kids! Oh and we don't hide when people are taking pictures anymore!!" “I started dieting after gaining 72 pounds with my first child. For the next 30 years I think I tried every diet out there. Losing weight was never the problem, keeping it off was. 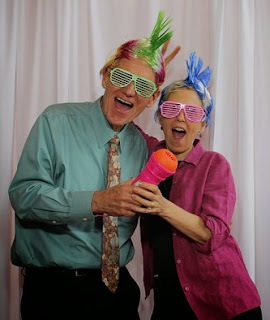 However, something drastic happened when I turned 50. No matter what I did I couldn't lose weight. This went on for an entire year. I was so frustrated and angry and about to give up when I heard about this program through a doctor who had lost over 100 pounds himself. 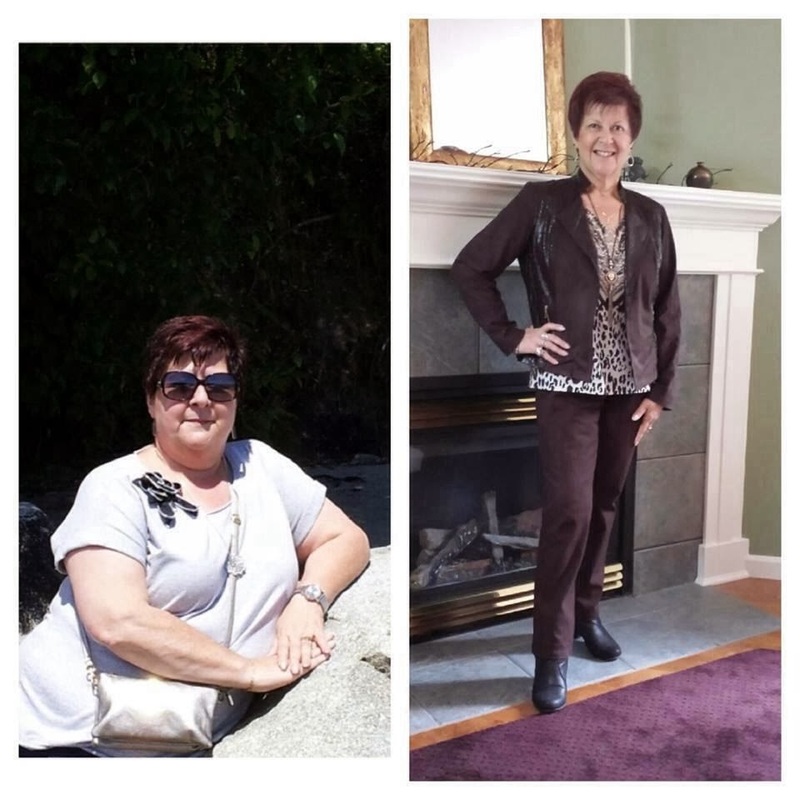 When I got started on it I couldn't believe how easy this program was to do and with the help of my health coach 35 pounds just melted off my body. The best part, I finally learned the healthy habits necessary to maintain my weight!" In a twinkling of an eye it will be 2014. Many people will make and break resolutions AGAIN ... Let's resolve to be different! Let's resolve to be passionate about our health so we can be All In!!! I just couldn’t believe that this size 22 woman was me. But nothing I tried to change about my appearance worked for any length of time. Even exercising 5 days a week changed nothing. In total desperation, I had gone so far as to get quotes for lap band surgery. Fortunately (and I only say that now), it was not financially feasible. I started this amazing program at the first of last year and nothing has been the same since! 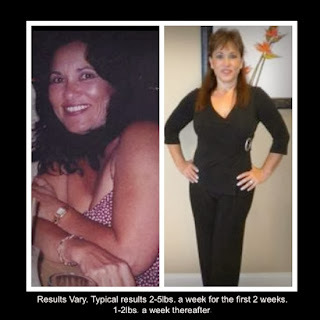 The simplicity, straight-forwardness, affordability, as well as the consistent weight loss and high energy level I felt, made the days fly by. By fall, I had reached my goal!!!! Actually, I surpassed it because I thought I was being unrealistic to strive for a size 14, and in November I was a size 6-8! I have more energy than I can ever remember having, even when I was much younger, and I never want to go back to life before." Call Me today for consultation and to see if you are a candidate for the program! I'm excited to add a new offering for you! As a newly certified Passion Test Facilitator, I'm offering The Passion Test at a reduced cost of $97 (normally $297) through the end of January, 2014. This set of instructions will wet your appetite for more! Let me know when you're ready to take the next step to transform your life! Passions are your driving force, the propellers of your boat. Aligning actions with passion, speeds you on your way with ease & joy! Polly. Making your list is the first step in this process of getting clear about your passions. 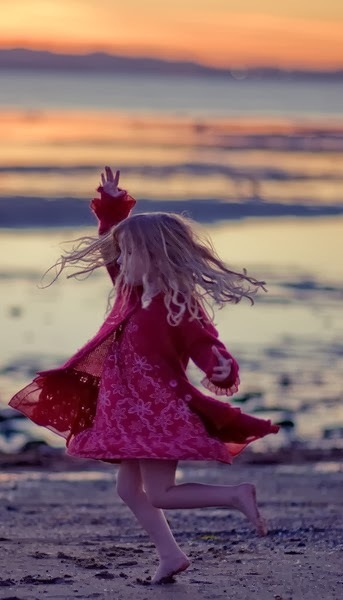 Make a list of what is important to you, what you are passionate about … what lights your fire! Have fun, don't "over think it!" Enjoy! Please email, scan or fax me a copy of your list 24 hours prior to Session #1. Thank you! Session #1 (approximately 1-1.5hr) Feel free to contact me with any questions you may have. This is a wonderful site to download fool-proof holiday and anyday grocery shopping guides! Congratulations! Reclaiming you health, learning and adopting the principles of Dr A's Habits of Health, caring for yourself, and nourishing yourself in every way ... this is truly what it's all about!! Congratulations on gaining insight, reducing the carbs, saturated fats, and inflammation. Pat yourself on the back for reaching out to me and following through. As an extension of what I offer as a Health Coach, I'd like you to consider doing the Passion Test with me. 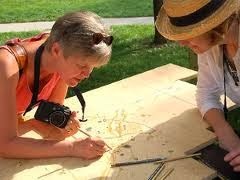 I've just returned from the most incredible workshop on how to help people find their passions, increase the fulfillment, happiness and wealth (on all levels!) in their lives. It's a natural extension of what I've been doing for a life time as a Midwife and for the past five years as a TSFL Health Coach. I get to continue to "Help People OUT!" The conference I attended took me through the certification process to become a "Passion Test" facilitator. Take a look at The Passion Test. You can take the test for free online ... but it's so much more effective and life changing when we do it together! I would love to sit down face to face and walk you through it. Since I am new at it, I'm offering it for free to the first 10 people who raise their hands and shout, "I want it!" Accepting this gift is a game changer!!! Polly. At a conference this past week, little bags of trail mix were provided along with pastries, coffee and tea. 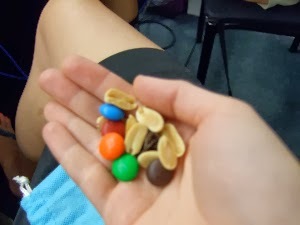 Since I'm in maintenance and we were engaged in intense activities, the trail mix was a reasonable snack choice ... well, except for the M&Ms. The M&Ms didn't support my passionate desire to be a feisty 61 year old with vitality, health, and beauty. I had to do a little internal debate and it came down to this: Yes OR No? ... Yes or No Polly? I could certainly have them if I wanted them but they didn't serve me nor did they serve my deepest desires so I picked them out and tossed them. I'm not sharing this story to brag. I'm sharing it to connect on a deeper level with you. I became a coach to build relationships and be of service. I care deeply about your progress and success. We are not alone on this journey to better health ... we are working in strength and harmony towards sustainable well-being, stamina, and happiness. The Sees candies, pies, cakes, and holiday drinks may give us momentary pleasure but, they don't contribute to our health or get us where we want to go! If you long for freedom, set your course and walk that way. Reach out and offer your hand to others. Notice the pitfalls, traps, and thieves. Take the opportunity to Stop, Challenge, and Choose! We don't have to make New Years Resolutions, we simply have to decide to live in favor of our true passions! Check out the quick BeSlim Assessment online. Take the comprehensive Health Quiz online. I take the comprehensive Health Quiz twice a year and short quizes every couple of months ... when you are new, it's helpful to take it every month or so. 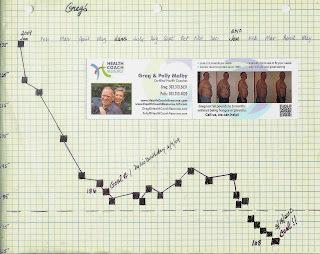 I'll include an example ... the graph illustrates how Greg progressed on his weigh loss journey ... charting his progress and taking photos regularly really helped! Five or more are invincible! So, in the spirit of the Holiday Season, Greg and I would like to give a gift of hope and health to the people you care about. Through the end of December, for everyone that you refer to us who decides to join you on program, we'll gift them a copy of Dr Andersen's newest book, Discover your Optimal Health AND gift you $25 cash on account for the referral. Also, if you are an inactive client and are ready to push the "ReStart" button, we'll gift you a copy of Dr Andersen's newest book as well. Now is the time to get a head start. Don't wait until after the first of the year to give the gift of health. You've made your decision, call me NOW! You'll have an opportunity to show off your new shape and new habits during the next few weeks ... Check out the photos this week ... I can hardly wait to hear your stories and see your photos!!! Send them to me and let me know if it's all right to share them. I'm continuing to post blogs on "Holiday Survival Tips" so check facebook and the blog site often. Did you know that by surrounding yourself with people who are on the journey with you and caring about their health, you are far more likely to stick to your plan and succeed? So, in the spirit of the Holiday Season, Greg and I would like to give a gift of hope and health to the people you care about. Through the end of December for everyone that you refer to us who decides to join you on program, we'll gift them a copy of Dr Andersen's newest book, Discover your Optimal Health AND gift you $25 cash on account for the referral. Also if you are an inactive client and are ready to push the "ReStart" button, we'll gift you a copy of Dr A's book as well. Now is the time to get a head start, DON'T WAIT UNTIL THE FIRST OF THE YEAR AFTER YOU HAVE GAINED WEIGHT DURING THE HOLIDAYS! One of my passions (right after helping people transform by losing excess weight and gaining health) is talking about nutrition and well-being. This week, I had the privilege of giving a two talks for the Park Rose High School "Fix-It Fair." My goal is to give at least one presentation per month on healthy eating. So, next time your group or church is looking for a speaker, keep me in mind ... it's fun, educational and entertaining! You and I know that many people are struggling with diabetes, high blood pressure, sore knees and excess weight ... I'd love to be a resource for you and the folks you care about! Getting ready for the next holiday ... start by getting in gear for better health!